Previous: Further welcomes new Head of Account StrategyBlog indexNext: The moment of orientation: does your website have what it takes to KEEP visitors? I’ve lost count of the number of times I’ve heard someone say: “why would I pay for traffic when I can get it free through organic”. 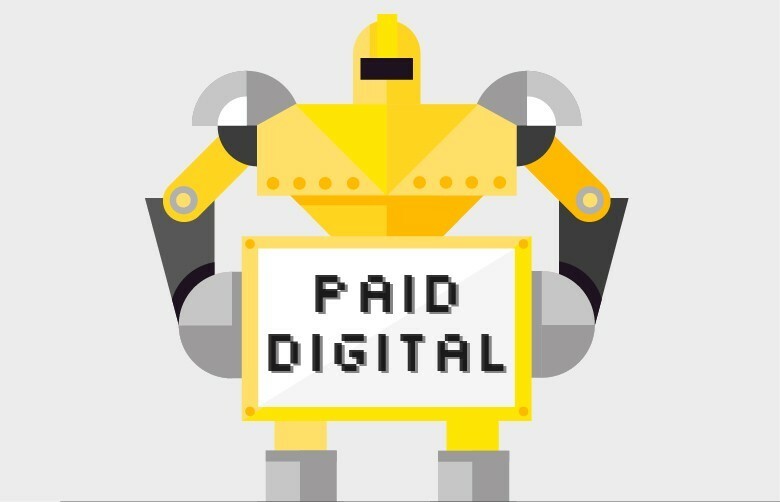 Paid digital has the stigma of being ‘bought’ traffic, but, like organic traffic, you are still paying for these clicks in some way. For paid you pay for the click and the management that goes with generating this. With SEO (search engine optimisation) it’s just the latter. Either way, it’s still an overall cost to a client; and who’s to say whether the combined cost can’t equal the same? We need to stop seeing media spend as negative and see it as part of the cost required to generate cost-effective traffic to a site that works towards a KPI. Once we can appreciate this, we can look at the opportunities that media spend brings to a digital strategy and its impact on and working alongside organic. It can take time to get the results organically; months, years, maybe never. In this time your competitors will be taking full advantage of your absence, which seems silly when it’s so quick and easy to gain a SERP (search engine results page) presence with paid ads. In doing so, not only can you benefit from almost instant brand presence for a wide range of relevant searches, you are also collecting data that can benefit your SEO strategy and enabling future transactions/leads. By reviewing search queries and organic rankings using Search Console within Google Analytics we can quickly pinpoint low ranking search terms that produce a strong CTR (click-through rate). By using paid ads on these terms, not only do we benefit from the direct traffic they provide, we can also determine if there is any value in focusing on them as a core part of the SEO strategy. If PPC data suggest this search term provides good traffic and a positive ROI, it is quite likely the overall digital strategy would benefit from an SEO looking to get these queries to rank higher. In addition to educating SEO strategy, these paid ads will also enable future leads/transactions. Say for example we use paid ads to appear for a short-tail search query such as “men’s gifts”, a term that we can’t achieve a high organic ranking for. This ad may be the first touchpoint for someone researching “men’s gifts” who later comes back to the site searching for “men’s gifts under £10”, a term that ranks well organically that we don’t bid on through paid. Earlier this year the number of paid ads appearing at the top of the SERP increased to four which saw organic listings drop down the SERP page and resulted in greater opportunity for paid advertiser’s and more importantly other brands/competitors, to appear in the prime SERP real estate. Therefore, there has never been a more important time in digital to have a paid advertising presence. Brands that typically appeared in low paid ad positions or never ran paid activity before are now competing and appearing at the top of page 1 and in some ways, have gained a ‘new’ competitor. In addition to this, in many case organic rankings have moved “below the fold” and when combined with increased paid activity, it is likely your overall traffic volume may have taken a hit. Read our guide to bidding on other people’s PPC brand keywords. If your organic listing has taken a hit and fallen ‘below the fold’, users will still scroll to find you, but by having a paid presence at the top of the page, it will give the ‘lazy’ searcher an immediate opportunity to click-through to your site, and reinforce your brand and message to those more inclined to avoid paid ads and scroll down the page to organic listings. This is essentially known as the “halo effect”, which is basically the concept that the click-through rate to your site when you have both a paid and organic presence is greater than the sum of both parts. We will talk more about this is a future blog, I’m sure! It may be that you have seen little impact due to these changes (maybe because you typically rank quite low organically anyway), but it’s almost certain someone else is benefiting from the additional paid for SERP space; and why shouldn’t this be you? Paid ads provide value in many ways and benefit from being easily trackable. As organic listings continuing to fall down the SERP due to more paid ads appearing and additional changes to advertising formats and algorithms, paid is playing a bigger part in digital strategies. However big or small a part it plays, to keep your brand in the mix, and to ‘plug the gaps’, paid must be included in some ways to reach your brands full potential and support and help direct the strategy of other channels. If you found this useful, you might like PPC: The Unsung Hero of Digital Marketing.